The FR-8 and FR-16 are Ethernet devices that provide fader-based remote-level control for ne products with DSP capabilities. 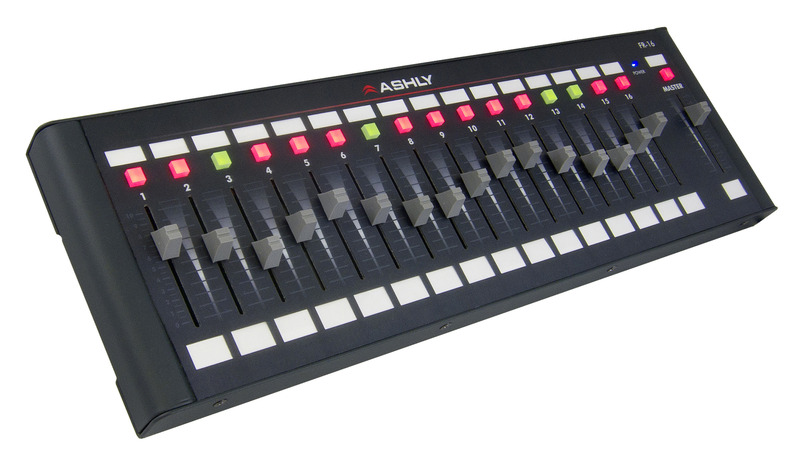 The FR-8 controls up to 8-user assigned inputs, outputs, or mixer outputs, and the FR-16 controls up to 16. Controllable products are: nXp amplifiers, ne24.24M, ne 2-channel Power Amplifiers w/ DSP, ne Multi-Channel Power Amplifiers w/DSP, ne4800/8800 DSP Processors, and all Pema™ Power Amplifiers. The RD-8C is a desktop controller using an XLR serial data connector, while the RW-8C is electronically the same but mounts as a wall plate into a standard 4-gang electrical box and uses a Euroblock connector. Each slider can be programmed to allow the amount of volume control you deem appropriate for the amateur operator. 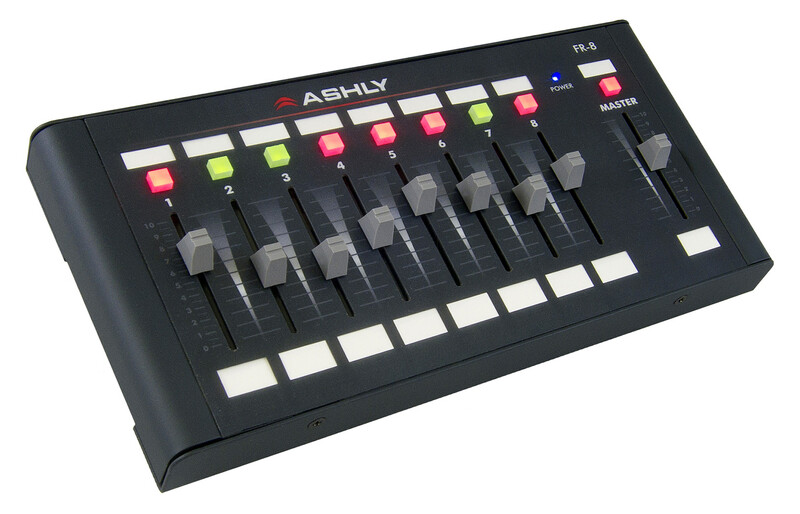 The LED button at the top of each slider can be programmed as a “Mute” or A/B Source select. The FR’s can be used as either tabletop or wall-mount mixers. An optional rack-mount kit is available. ■ Electronically the same as the RD-8C but mounts as a wall plate into a standard 4-gang electrical box and uses a Euroblock connector. Rack mount kits available for FR Series Network Remotes (FR16-RMK, FR8-RMK) Power-over-Ethernet Injector also available (RPOE-1).